For this year’s U.S. Pavilion at the 15th Venice Architecture Biennale, 12 teams from across the country were selected to design speculative architecture for Detroit. Entitled the “Architectural Imagination,” the pavilion will focus on presenting urban ideas that could be used around the world. One of the offices chosen is the Columbus, Ohio- and Chicago-based BairBalliet. Comprised of Kelly Bair, an assistant professor at the University of Illinois at Chicago School of Architecture, and Kristy Balliet, an assistant professor at the Knowlton School of Architecture at the Ohio State University, BairBalliet was formed specifically for the biennale. 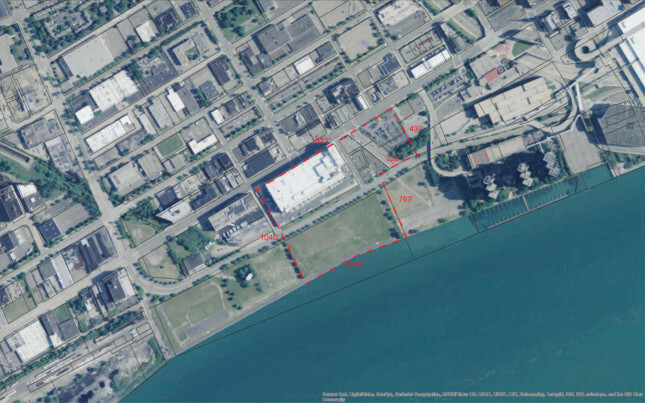 Given a 26-acre site on Detroit’s west side along the Detroit River, near the Corktown neighborhood, BairBalliet set out to produce a project that would connect the neighborhood to the water. The duo used an unexpected digital medium to communicate during the initial design: “In the beginning we used GIFs as a means to prepare for collaborative design calls. These would build up a narrative and a visual attitude to which the other could react,” said Bair. The GIFs were collections of stills that were curated and timed to convey a sense of their thoughts about everything from site strategies to formal decisions. Bair and Balliet found that the flickering of animated drawings facilitated a way of seeing the project in which ideas could be combined and reconfigured into completely new strategies. Part of the design process included meeting with local Detroiters about the chosen site’s future. 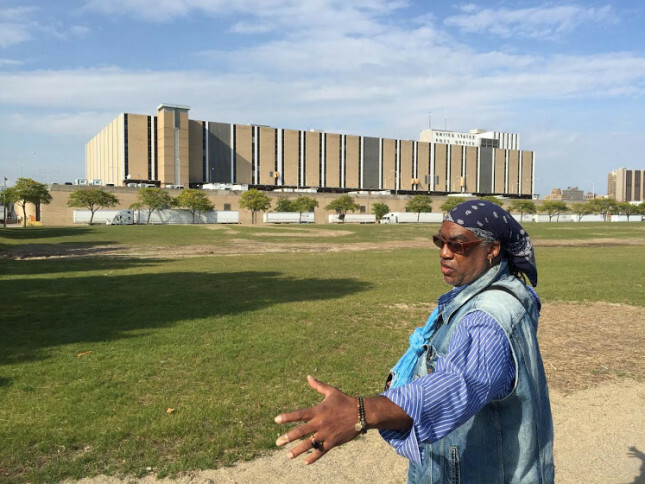 The team was exposed to the visions of the Detroit Riverfront Conservancy, Projects Detroit Future City, and the Detroit Economic Growth Corporation as well as local neighborhood residents. 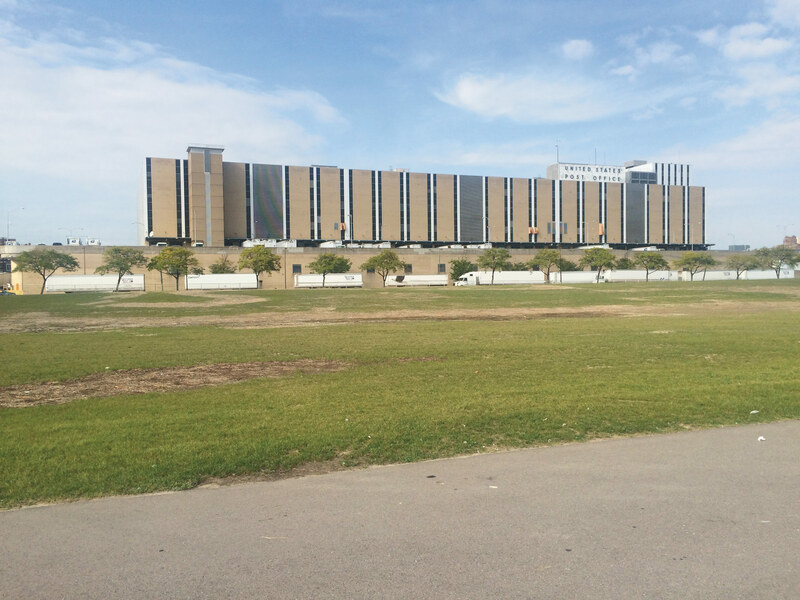 What they took away was a sense of the site’s strong connection to the core of downtown and the evolving adjacent neighborhood as the riverfront continues to develop. For the design, which will be revealed in Venice, nearby programs, including light-industrial, small-scale residential, and retail, are overlaid with leisure spaces as the project unfolds towards the river. Conceptually, BairBalliet thought of the project as a new port-of-call, a place that is never experienced the same way twice. BairBalliet’s bas relief and site model, along with other visual media, will be unveiled at the Venice Biennale, opening May 28th. The U.S. Department of State selected the Taubman College of Architecture and Urban Planning at the University of Michigan to organize the exhibition of the United States Pavilion in the 2016 Venice Architecture Biennale. Cynthia Davidson and Monica Ponce de Leon are Co-Curators of the U.S. Pavilion.